Private Residence, Chapel Hill. 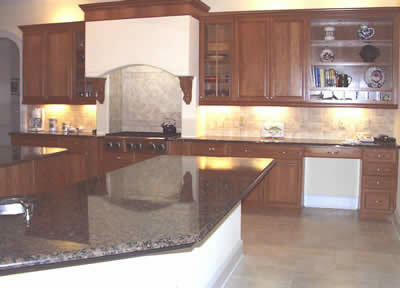 Baltic Brown granite, quarried in Finland, was used for the counter surfaces in this home. Close collaboration with the builder was required to execute the cooktop alcove.